When I hear the word “falafel” my first thoughts are “fancy” and “hard to make”. 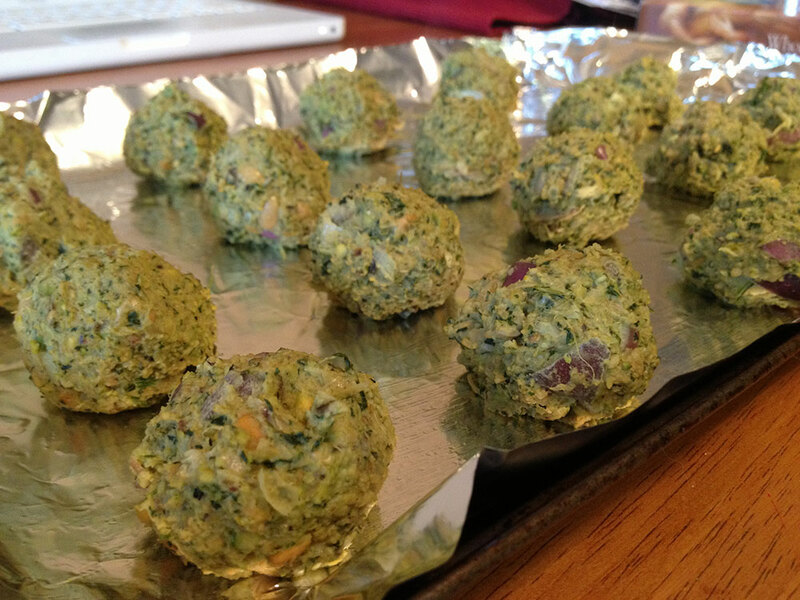 I was proven wrong however, when I found a recipe for Baked Pistachio Falafel on one of my favorite food blogs. 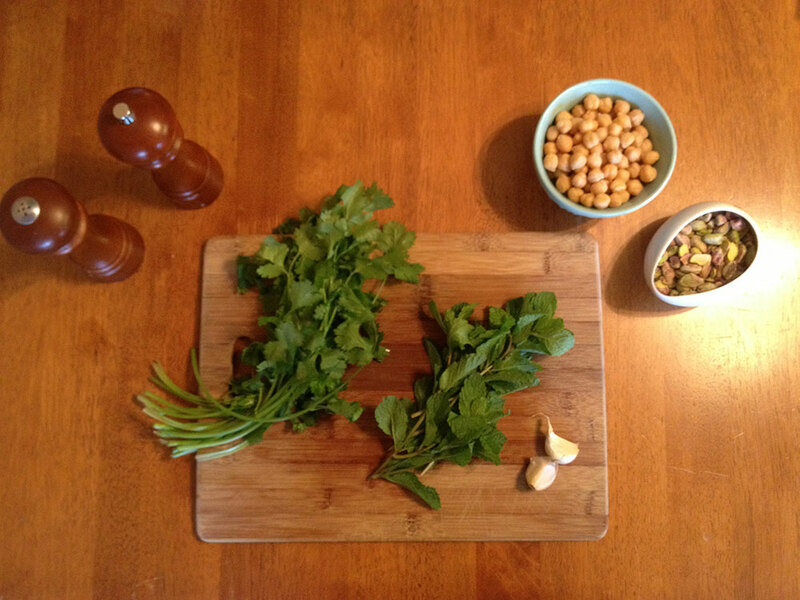 These falafels are full of delicious ingrediesnt like mint, pistachios, cilantro, garbanzo beans, and cilantro. Throw everything in the food processor, and you have your mixture. Oil a baking sheet, and roll the falafels into little one-inch balls. They bake for 15 minutes, and should be turned once halfway through. 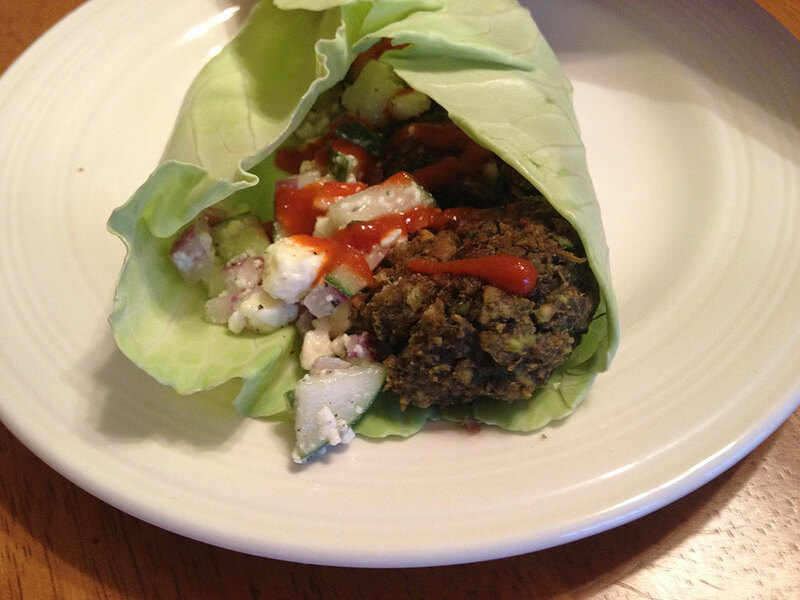 I wrapped my falafels in a cabbage leaf, but you could also use pita or lettuce. I also made a little cucumber, red onion, and feta topping, and then loaded it with my favorite hot sauce, Sriracha. Really, you can’t go wrong with these guys. Preheat the oven to 375′. Line a baking sheet with parchment paper or oiled foil. 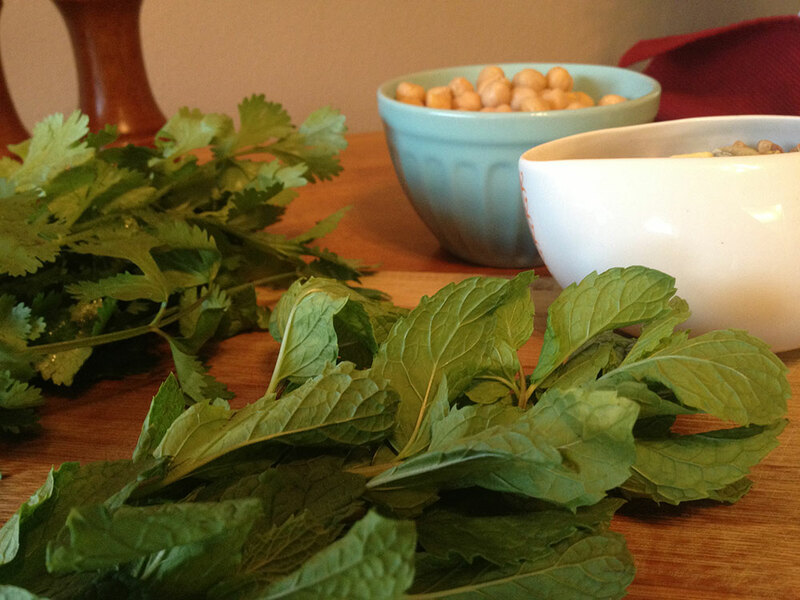 Pulse the herbs in a food processor. Add the pistachio nuts and pulse again to chop. Add the chickpeas, garlic, onion, oil, cumin, flour and baking soda and blend for thirty seconds, scraping down sides when necessary. You want the mixture a bit rough. Using your hands, form 20 small round falafels. Place them on the parchment lined baking sheet. Bake them for about 15 minutes, flipping halfway through, until browned. Dice cucumber and red onion, add feta, lemon juice, and salt. Stir and top falafel.